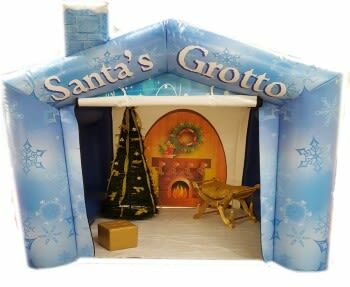 Our inflatable Santas Grotto is 9ft x 9ft and is 7.5ft tall. The grotto is ideal for any christmas themed event including schools, pre schools parties, etc. Basic Hire - £70 - Hire of the inflatable grotto on its own. 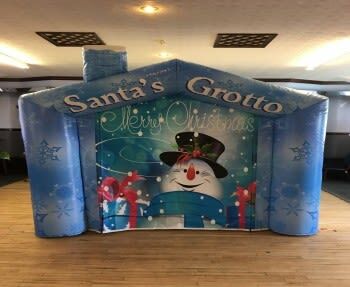 Decorated Hire - £90 - Hire of the inflatable grotto and also a lit christmas tree, LED reindeer, LED christmas parcels/presents and a speaker system to Bluetooth music through.